Being a new mum is a daunting time. You've just had a baby, you need to keep this little dependent 'being' alive every single moment of the day. You've been told for the past 9-ish months to "make the most of sleep", "go out while you still can" and the old favourite every expectant parent wants to hear "you can kiss this lifestyle goodbye". The combination of both is terrifying. But having been there and done it.... you can still be human and be a new mum. Trust me! The first months home with our new baby were often an unhealthy mix of self-doubt, sleep deprivation and frustration, with a pinch of occasional moments of joy. Human beings are designed to need other humans to interact with, unfortunately for the first few months your little bundle of joy doesn't quite fill the void. You need convocation, the outside world, interaction and exercise. When you walk outside the door all your problems go away. 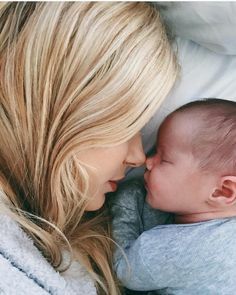 I remember our first day home, Jasper was the grand old age of 4 days and up I got and waddled around the block with my baby in the pram. At 4 days your body is so confused your balance is all off, but you are still you. Don't let having a child stop you from doing things. Yes you can go to that wedding. Birthday celebrations - count me in. Yes it means you probably can't get blind drunk in the first few months but you work around it. We took Jas to the pub for peoples birthday, he just slept in his car seat or having a cuddle with us. He's been to curry houses, pubs, away for weekends. He's stayed over at friends houses, grandparents etc. You just need to decide what you want from this new family. Being sociable doesn't always need to mean going out for nights out, it can mean going for coffee with a friend. Could you leave the baby with daddy or granny for a couple of hours while you get your nails done? A cinema date? My first couple of hours away from Jasper was a trip to the cinema when he was 5 weeks old. If you don't like being sociable, just get out more. Take the little bundle of joy out for a daily walk, even just around the block or into the garden. Granted, this is easier for spring/summer babies, but the rewards are so worth it. You will feel like a new person each time and the little baby will feel so refreshed to. If you take anything away from this.... get out more. This is a weird one. Of course, the love you feel for this little baby is like nothing you've ever experienced, but your partner/friends/family/dog still exist. Sometimes, just sometimes, give them a little bit of yourself. Talk about something other than the baby, let someone else hold them while you go for a quick walk with the dog. I remember when Jas was four and a half months old John and I went out for dinner for my birthday. I had left him before with grandparents and John when I've had to do things, but this was the first time, both me and John were together without Jasper. It was a strange dinner, earlier than normal and full of excitement. But we lasted less than two hours before going home and checking on him. All of the above is not possible unless you accept help. People will offer to help and you should accept it. Without help, you are up against it. Allow your partner to help, allow your friends and family, they will give you some welcome relief to sleep, eat, clean yourself. Sometimes more than anything you just need a break. John always knew when it had been a hard day. He would see my face, take Jas from me, make dinner and let me just sit silently on the sofa. Breaks become the best bits of your day. This seems silly but it really isn't. We decided to do NCT before the baby came and it was and still is a total lifeline. Having a group of friends, however you know them, who have children of a similar age is worth it's weight in gold. Instead of just you and your partner, you have an army helping to guide you through those first few months. At 3am, there will always be someone to talk to. I'm lucky that a few of my friends have kids already so I could ask them questions beforehand, but the 24 hour whatsapp helpline was just brilliant. Note: This style of parenting is not for everyone, everyone is different and has different ways of doing things. That's okay. This is what worked for us and what we were comfortable with. Go at your own pace, you write the rules.